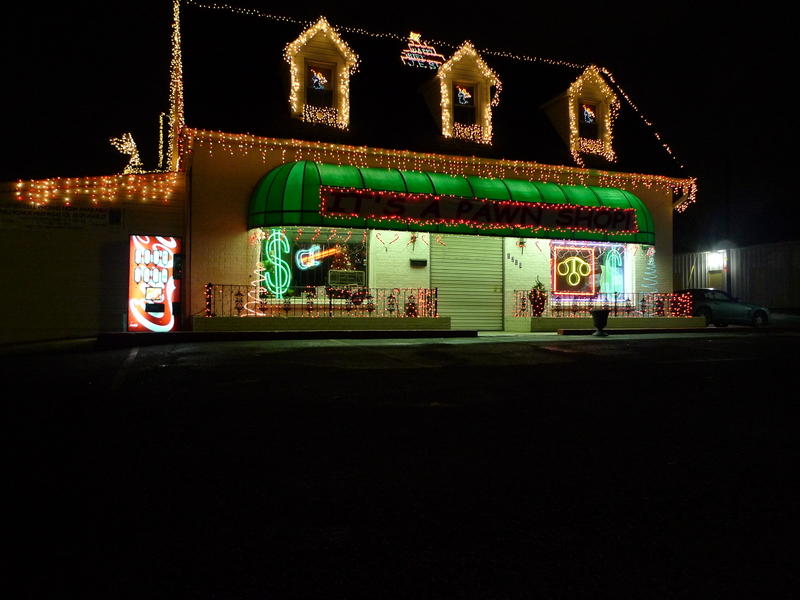 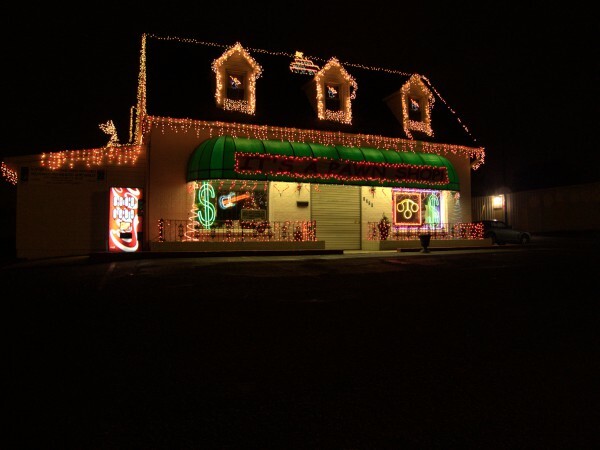 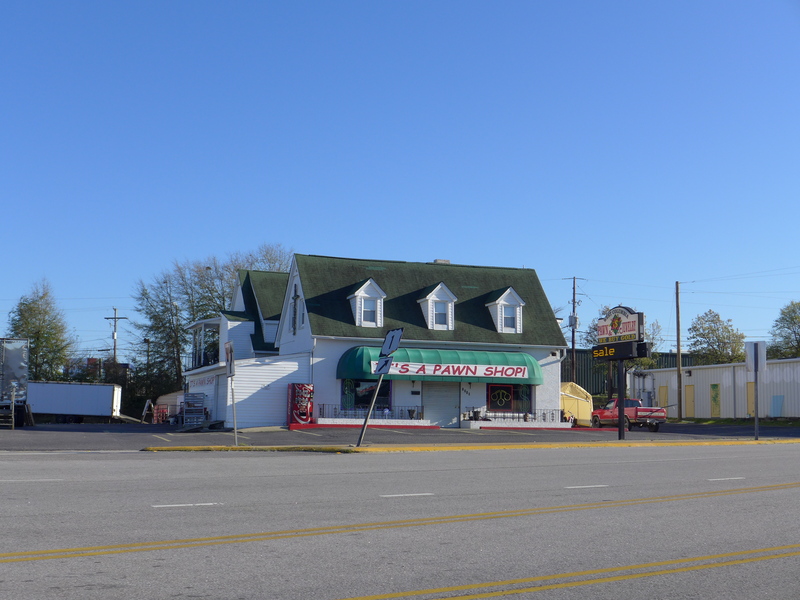 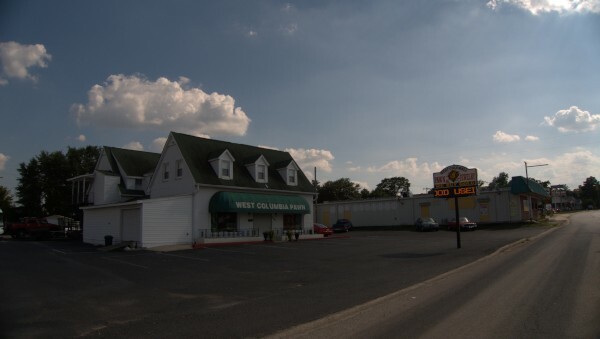 I first wrote about this building doing a closing for Luigi's Italian Kitchen, and that's the post the third picture comes from. The first two, which I took today, are done against the light and from inside the car because I was running late. 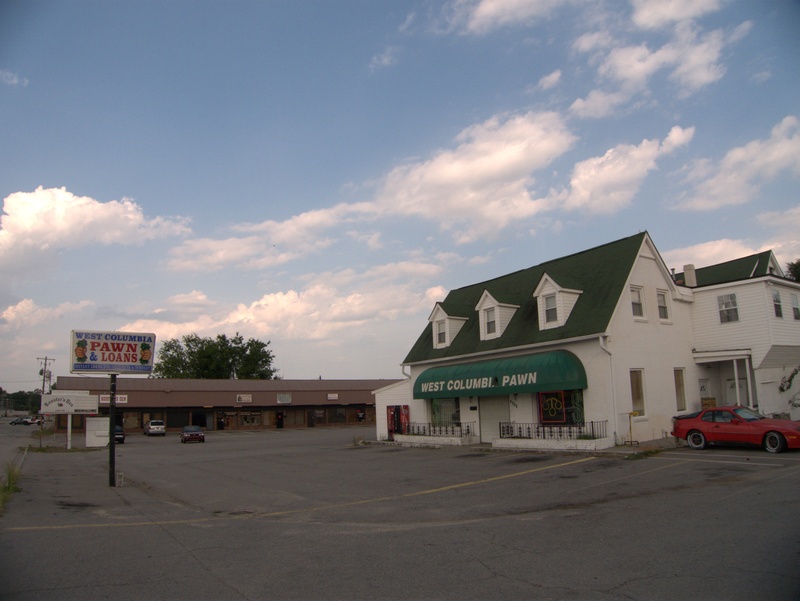 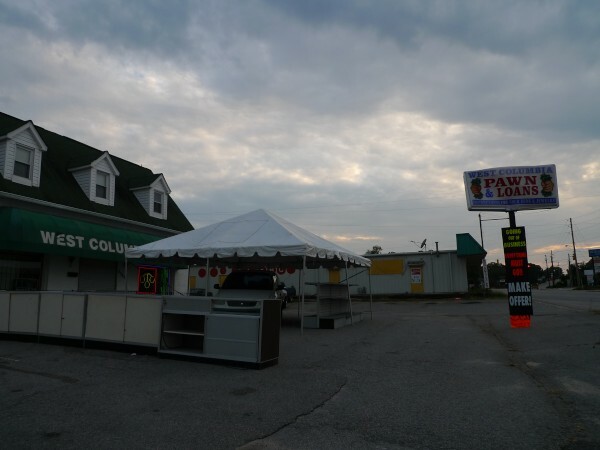 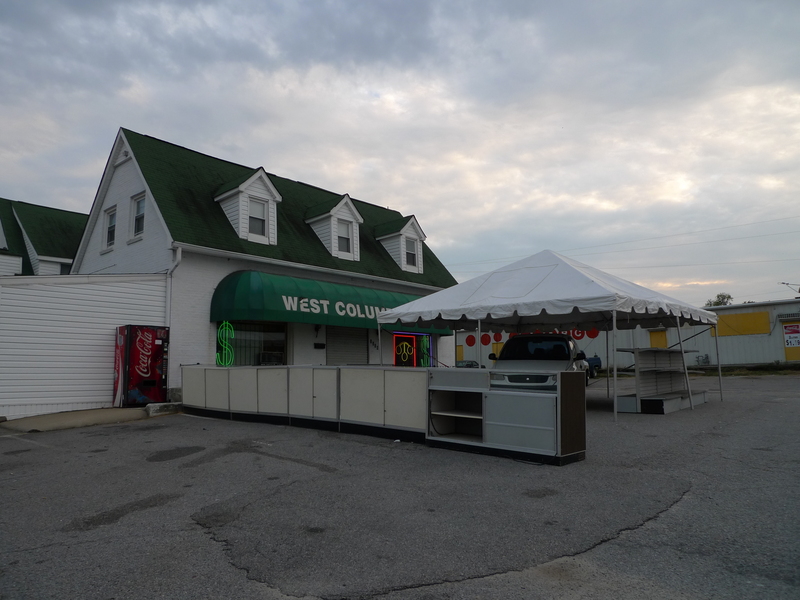 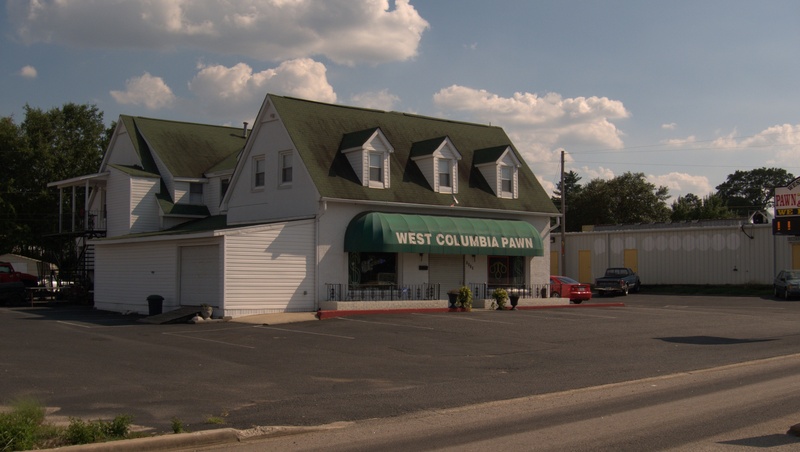 Anyway, I don't know anything about West Columbia Pawn & Loan, but you've got to think that if even *pawn shops* are going under, the economy must still be pretty bad.